We have a collection of wonderful and highly performant ESR cases on offer for you today to go hand-in-hand with your iPhone XS purchase. You’ve spent the money on the device, now it’s worth spending a tiny amount to ensure that you protect that Apple investment. 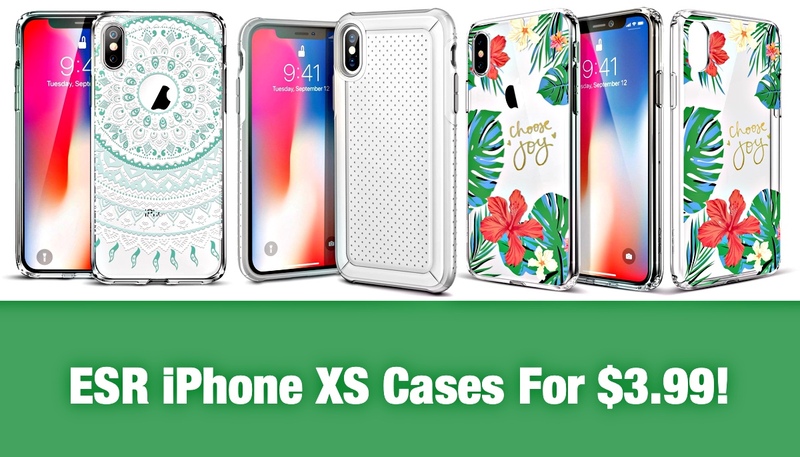 Not only do these cases give you the ability to instantly save money in your efforts to protect your brand new iPhone XS but they also ensure that you are getting a highly reliable product from a company that literally has thousands of impressive reviews. Granted, money could buy you more, and if you are prepared to throw $50+ at a highly protective full case with next-level protection, then you will be better protected. However, if you want to spend a ridiculously low amount of money on something to protect your new smartphone from bumps, knocks, scrapes, and the occasional low-level fall, then you should definitely be looking at and putting your trust in this ESR range. Great looking cases. A well-respected company. And a decent range to choose from. If you are now clearly convinced that you need to protect your brand new and highly expensive iPhone XS with a highly performant but extremely affordable case, then you can check out the deals below to see what’s on offer. Remember, as is always the case with deals such as these, the prices can, and will, fluctuate relatively quickly. This means that the manufacturer has the ability to put the price up whenever they see fit. It’s also worth noting that stock of the products can deplete relatively quickly when they are being offered at these types of prices so it’s worth keeping that in mind when you decide to procrastinate on the purchase. If you want to ensure that you grab yourself a deal, then grab the case of your choice at the sale price, right now!